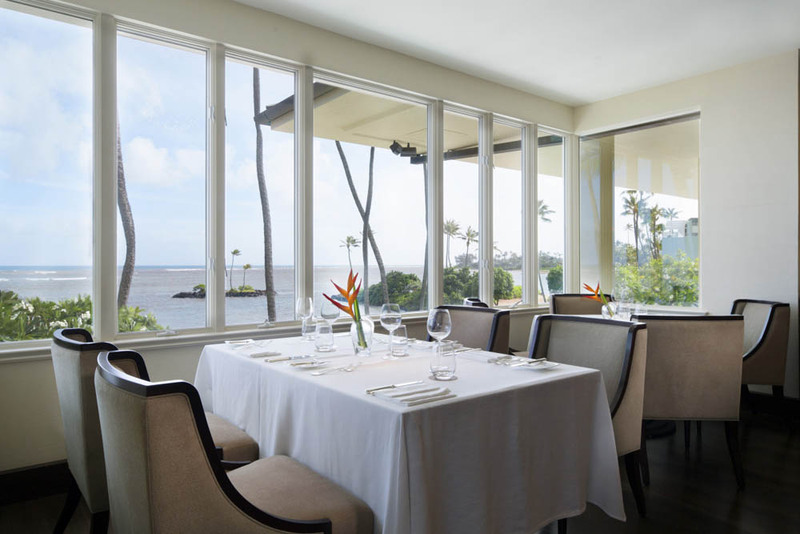 The Kahala’s main dining has sophisticated interior and serving regional cuisine. It has outstanding views of Pacific Ocean. One long table set-up is not available. Hoku’s table and chairs will not be moved. No floor scratch is allowed. Evening resort wear, Aloha wear, shoes or dressy sandals are apropriate. Examples:long pants, khakis, jeans, Capri’s are acceptable. Shorts, sleeveless t-shirts and ahthletic wear are not appropriate for dinner.